Two-in-one tool is designed to increase productivity – no need to go back to the truck or office to retrieve a shared camera – so you can do more in less time! Rechargeable lithium ion battery allows for a for a full work day (10+ hours) under normal conditions; a second battery option means you will always have a battery ready to install. 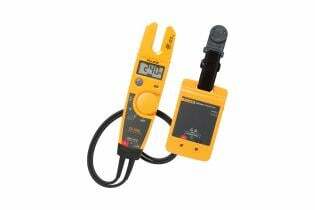 Fluke 279 FC True-rms Thermal Multimeter helps you find, repair, validate, and report many electrical issues quickly so that you are confident problems are solved. Thermal imaging multimeters are a first-line troubleshooting tool for electrical equipment that can check hot spots on high-voltage equipment and transformers, and detect heating of fuses, wires, insulators, connectors, splices and switches. Scanning with the 279 FC's thermal imager reveals many electrical issues rapidly and from a safe distance. 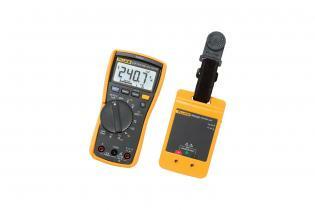 By combining two tools into one, the thermal multimeter lightens the load and increases productivity. Compatible with iFlex® (a flexible current clamp) to expand your measurement capabilities and get into tight, hard to reach spaces for current measurement (up to 2500 A AC). 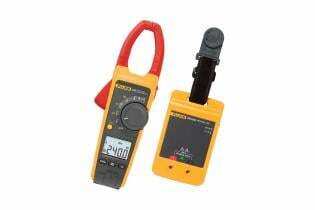 The large full-color LCD screen makes for easier and clearer viewing of images and readings. The 10 hour+ rechargeable battery keeps you going all day long under normal conditions. With built-in Fluke Connect®, transmit results wirelessly to a smartphone and save time on reporting to validate work is complete. Troubleshoot better by instantly trending and monitoring measurements live on your smartphone screen. Create and email reports right from the field.